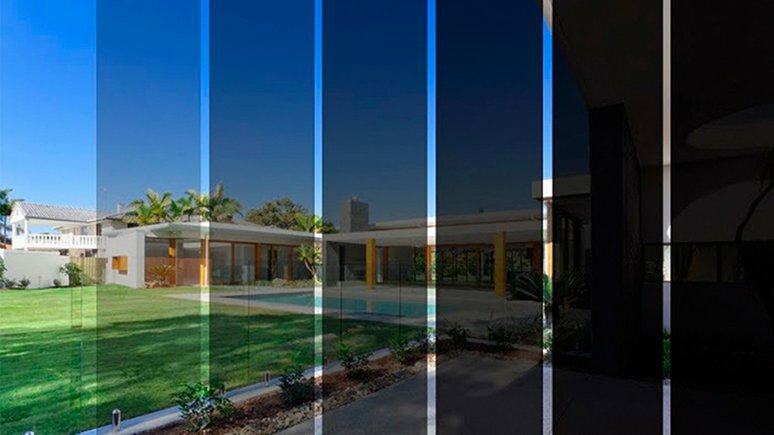 Smart glass (or dimmable glass) changes its light transmission properties based on external stimuli like heat, light, and voltage, switching between translucent, which blocks certain wavelengths, and transparent, which allows light to pass through. Industry estimates indicate a current (2017) global market for smart glass of over US$3 billion, and project the market will grow in excess of 15% CAGR to ~$7 billion by 2022 and ~$10 billion by 2025. Historically, smart glass has found large-scale application in particular in the automotive industry, for example in sunroofs and exterior and interior automatic dimming rear-view mirrors. The transportation sector is expected to remain the largest end-use market over the next five years, led by global economic recovery, technology development to reduce fuel/energy consumption and CO2 emissions, and automotive demand growth, especially from developing economies. In addition to use in cars, smart glass will also be increasing demand in electronically dimmable windows in passenger and cargo aircraft, of which an additional 35,000 are forecast to be delivered over the next 20 years, according to Airbus, to service an estimated 4.4% annual growth in air traffic. Its high price in comparison to regular flat glass has been the main barrier to rapid adoption of smart glass in the architectural sector. The smart glass industry has only recently started to attract the investments needed to enable producers to expand capacities and scale up production. As a result, production costs of smart glass are starting to come down, making these technologies more affordable to consumers and end-users that are becoming more and more aware of smart glass’ benefits, including energy-saving and auto-dimming properties. Use of smart glass results in lower CO2 emissions, improved security and safety and lower operating costs, including the potential to reduce building energy consumption by 20% or more. The smart glass market is benefiting from energy efficiency regulations in many countries, but especially in Europe and North America, where there is growing demand for eco-friendly green building technologies. For these reasons, the architectural sector is expected to experience the highest growth in the next five years, with growth rates well into double digits, especially in the commercial segment, due to growing demand in office buildings, but also in education, museums and other segments. The Internet of Things (IoT) also brings opportunities to improve the efficiency and reliability of smart glass products and applications and significantly boost demand for smart glass, for example IP-enabled smart glass that can be controlled remotely through a smartphone or a tablet. North America currently leads the smart glass market in terms of production and consumption, followed by Europe and Asia Pacific. In both Europe and North America, a supportive regulatory environment for energy-efficient building materials and products, the presence of key value chain participants (including smart glass producers, premium automotive OEMs etc.) and growing consumer awareness are all driving strong growth in consumption of smart glass. Incentives and rebates provided by the U.S. government under the Energy Policy Act to consumers and businesses continue to be an important driver for growth in demand for smart glass and windows in the architectural sector in the United States. The European market is expected to grow rapidly over the next five years, and may potentially overtake North America as architectural design trends including larger-sized windows in residential and commercial buildings, updated construction, and energy efficiency standards drive uptake of smart glass. Demand in Asia Pacific is also expected to experience strong growth in line with ongoing high growth in premium automotive production and infrastructure investment. EC glass and SPD are currently the leading smart glass technologies, followed by PDLC. SPD is a key technology to have been commercialized in automotive and aircraft applications, while EC finds use in both automotive and architectural applications due to its performance characteristics and economic viability. Both EC and SPD technologies are seen to have a huge demand potential in the next several years due to high level of customization, and the prospect of a ~40% reduction in production costs as a result of increased investment and scale. PDLC is used, among others, in interior and exterior settings for privacy control and in electronic devices, which will continue to be a high growth segment in coming years. Commercial agreement in May 2017 between Vision Systems (a licensee of Research Frontiers), and PPG Aerospace, to develop new applications using Vision Systems’ electronically dimmable window (EDW) shading solutions for aircraft, based on Research Frontiers SPD-Smart EDW technology. SAI, an international business consulting firm, has supported its clients globally for 40 years with proprietary business intelligence services based on primary research in glass and downstream industries, including building and construction, transportation, renewable energy and electronics, providing insight and decision support. Founded in 1977, SAI is a knowledge-led international consulting firm with over 375 employees in 13 operations worldwide. Explore specific growth opportunities for your business, address your knowledge gaps in this industry, analyze investment and acquisition strategies and make better corporate decisions with the confidence and clarity that SAI can provide. ← How Will the Internet of Things Impact the Agricultural Industry?